Snap in Dentures Happy Patient: Ronda! Today, Ronda shares her story with other patients with dental problems to give them hope for the future. Ronda is a Firefighter living in Washington, D.C. She was looking for options because dental treatments in the USA are extremely expensive. 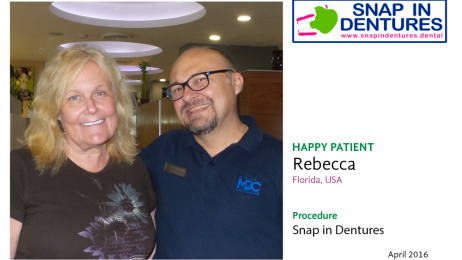 A new confident smile with Snap in Dentures in sunny Cancun! Rebecca came from Florida looking for a beautiful smile so she got mini dental implants in Cancun! 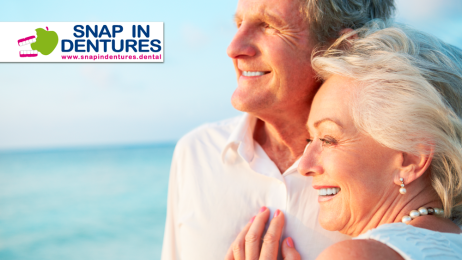 Getting snap in dentures while you enjoy the beach is the best way to save thousands of dollars restoring your smile and mouth functionality. During her dental vacation, she made reservations for transportation, hotel and tours to enjoy an amazing vacation while she had her procedure done. When you come to get mini implants and Snap in Dentures you will be required to stay in Cancun for about 8 days to complete your implant denture treatment. This gives you ample chance to enjoy many attractions while you wait for your to get finished! 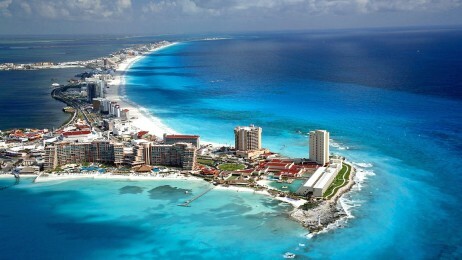 Cancun is a famous tourist destination and there are several activities that you can enjoy here. The thing that tops every tourist’s list is visiting the beautiful beaches and enjoying the water activities like, snorkeling, diving, or simply lying in the sun but there are a few must-visit places here that you should know about.